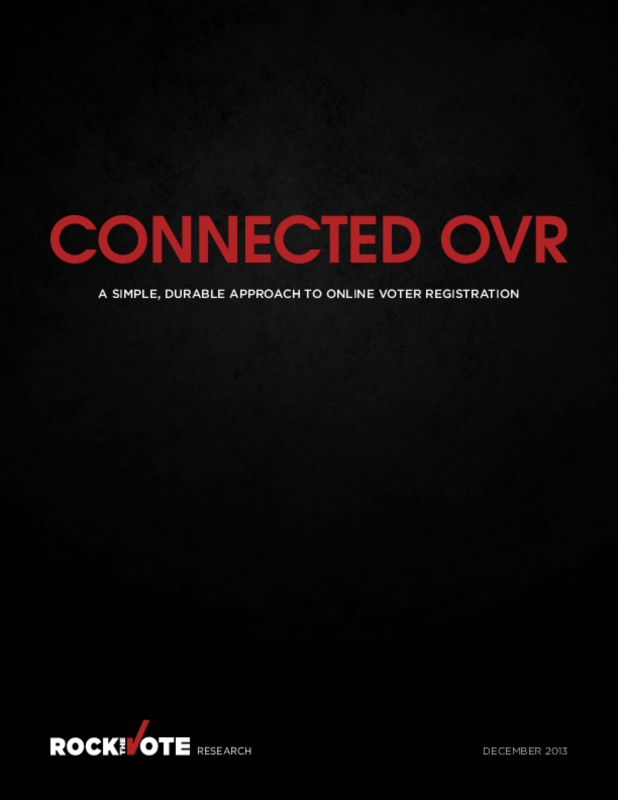 In this report, the authors argue for a simple and important shift in today's approach to OVR (Online Voter Registration): States should adopt a connected OVR approach, building a simple and durable platform that focuses on the information registrants must provide, rather than just the interface or device they use to provide it. By building a platform, rather than just an isolated website, states can future-proof their OVR systems. Designated Partners approved by the state, including major social media companies, nonpartisan voter registration organizations like Rock the Vote, government agencies, universities, and other groups, can use their expertise to design, maintain and promote effective registration interfaces that meet the state's requirements and deliver completed registration applications to its system. This way, a state need not go at it alone. Instead, it can create a central online service for registering voters, while allowing its Designated Partners (operating within the state's requirements) to develop and continuously refine new sites, apps, and other tools that allow people to register.